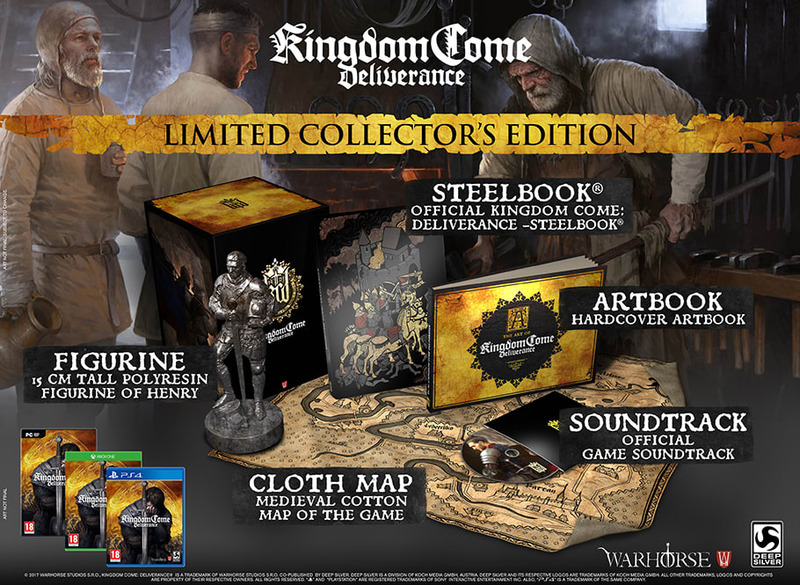 The limited Collector’s Edition of Kingdom Come: Deliverance contains exclusive physical collectibles and comes with the Kingdom Come: Deliverance Special Edition including the Treasures of the Past in-game content. Treasure maps of the lords banished by King Sigismund of Hungary, leading to the hidden treasures of those patriots, bandits and schemers. The mythical armor of the Warhorse tribe. Shrouded in mystery - it is said that the original wearer purged all the dragons from the Kingdom of Bohemia.